Looking for mark twain books? Biblio.co.nz hosts hundreds of of the finest online book stores and booksellers, including specialists in mark twain. Use the list below to locate a specific specialist bookseller or book store near you. Or, use the form below to search the inventory of all booksellers who specialize in mark twain. We carry a diverse and select stock with major specialties including Modern and 19th Century Literary First Editions, Signed Books & Autographs (especially Presidential and Literary), and Limited Editions Club books. 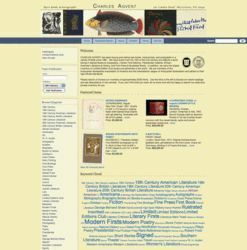 We are proud to be members of the Antiquarian Booksellers Association of America (ABAA) and the International League of Antiquarian Booksellers (ILAB).